Drive into the heart of downtown Charleston, and you’ll find yourself at the Four Corners of Law at the intersection of Meeting and Broad Streets. Just steps from this iconic crossroads is the stunning South Carolina Society Hall, which greets visitors and locals alike as they wander down the leafy and picturesque Meeting Street towards the harbor. 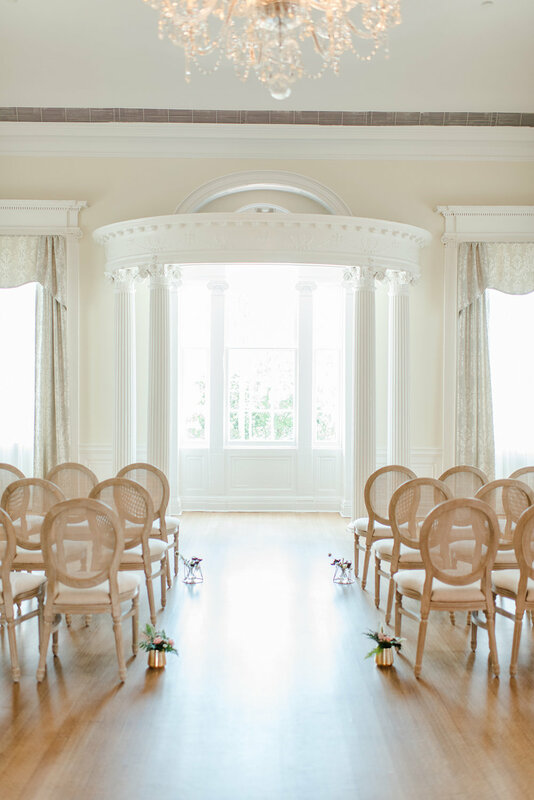 Dating to the start of the 1800s, the hall has served as a meeting space and event hall for generations of Charlestonians. It recently went a complete renovation to allow future brides and grooms to experience its splendor as well. Photographer Candi Leonard worked with a team of vendors to envision and execute a styled shoot at the property that showcased the fresh updates while still giving a nod to the rich history here. 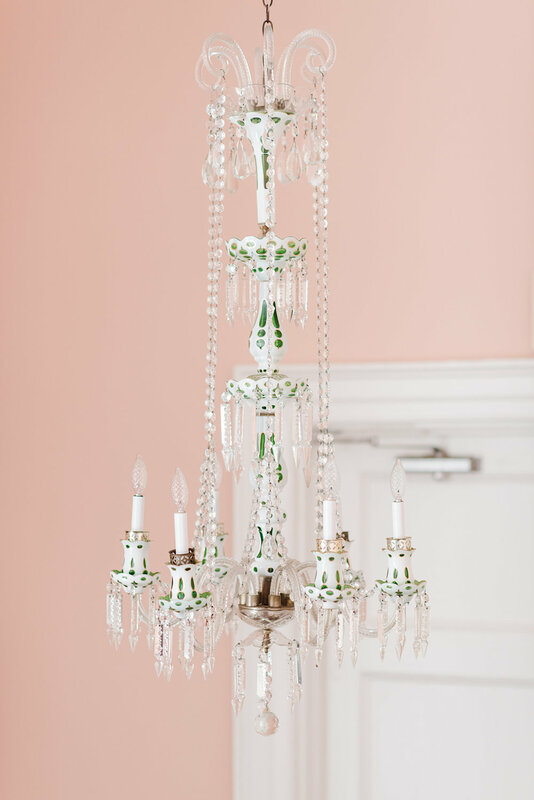 The result was a modern-meets-classic styled shoot that used pink, green, and whites as the perfect complement to the historic property. 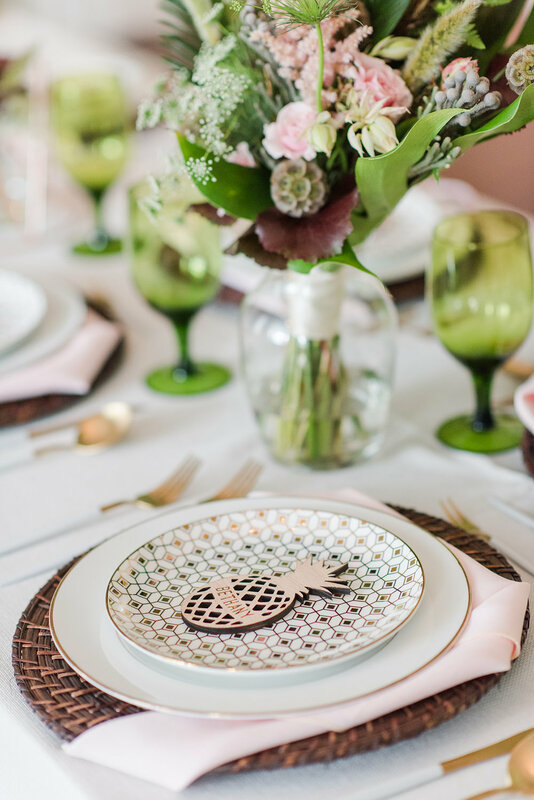 Modern elements included the geometric vases, wooded place cards, and pineapple themed cake. Florist My Darling Flowers created tropical-inspired florals that echoed the pinks and greens seen elsewhere in the shoot. 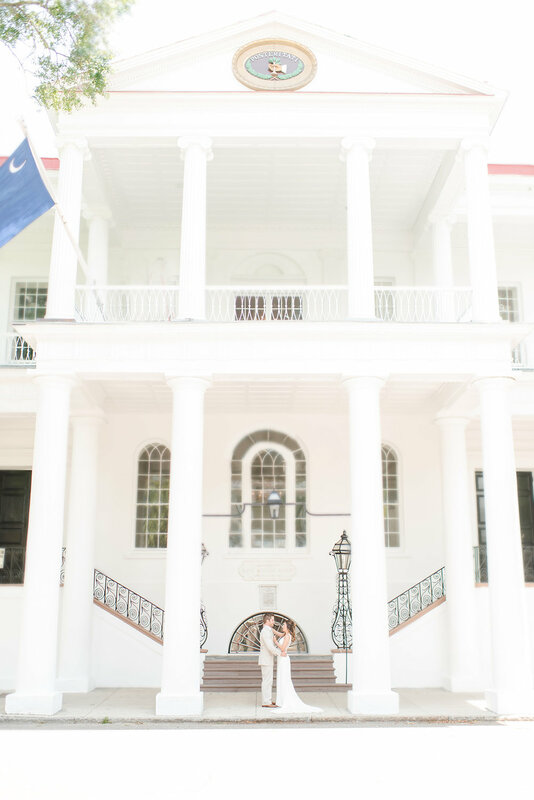 While the South Carolina Society Hall might not be a brand new venue, its new, fresh take on its history will be the perfect combination of old and new for couples tying the knot in Charleston.